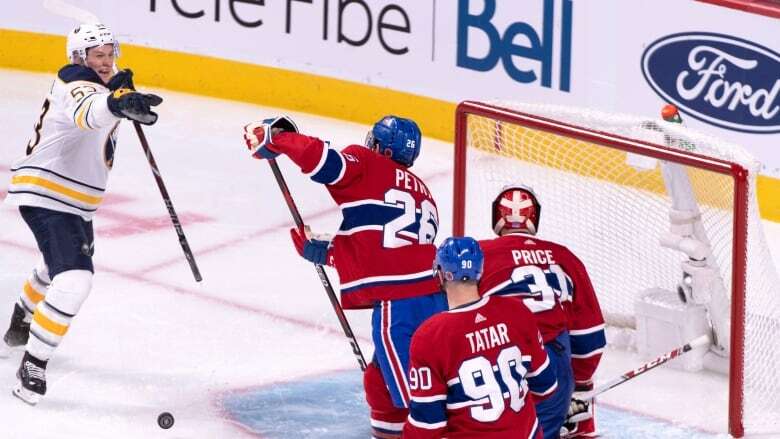 Rasmus Ristolainen scored in overtime as the visiting Buffalo Sabres beat the Montreal Canadiens 6-5 on Thursday night. A very discouraged Carey Price put all the blame on himself for Montreal's latest loss. "It's all upstairs," said Price, who earns $10.5 million US per year for the next eight seasons. "I gotta figure it out. In the second period, Price couldn't find the puck after Jack Eichel's shot hit the post — an easy goal for Jeff Skinner as the Sabres went up 4-3.